An emotional Tai Woffinden said “when you win a championship, these are the nights you look back on” after extending his world title lead by finishing fourth in the Danish speedway GP tonight. The British racer looked as though he was on his way out of the meeting after scoring just five points from his first four qualifying heats. But he dug in to win his last race before taking a spectacular win in the semi-final to qualify for the final. In the final Woffinden’s recovery came to an end when he came together with Dane Peter Kildemand on lap one. The race was stopped and Woffinden was excluded from the re-run, even though the referee could equally have excluded faller Kildemand. But Woffinden had a better night than his main rival, Nicki Pedersen, and extended his lead to 13 points. Kildemand’s fall in the final was his third of the night, but he picked himself up to win the re-run and claim a popular victory for a partisan crowd. Woffinden’s fellow Brit Chris Harris had a disappointing night, scoring just two points and slipping to 14th in the world championship standings. 1. 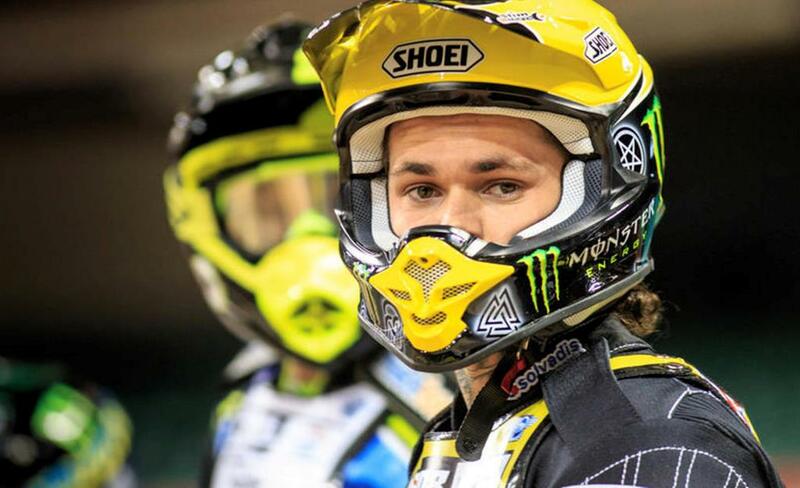 Tai Woffinden (GBR) 91, 2. Nicki Pedersen (DEN) 78, 3. Greg Hancock (USA) 65, 4. Matej Zagar (SLO) 65, 5. Chris Holder (AUS) 61, 6. Niels-Kristian Iversen (DEN) 60, 7. Jason Doyle (AUS) 60, 8. Maciej Janowski (POL) 58, 9. Michael Jepsen-Jensen (DEN) 54, 10. Andreas Jonsson (SWE) 45, 11. Peter Kildemand (DEN) 37, 12. Tomas H. Jonasson (SWE) 37, 13. Troy Batchelor (AUS) 36, 14. Chris Harris (GBR) 34, 15. Jarek Hampel (POL) 31, 16. Krzysztof Kasprzak (POL) 25, 17. Antonio Lindback (SWE) 14, 18. Craig Cook (GBR) 7.